This is the game I've wanted to make for a very long time, and I've worked on it on and off for about a year and a half now. The base systems start to fall into place, and I want to start logging what I do in a dev log. I've been going at it alone, and the idea of making everything myself has become more appealing with time despite my insecurities in graphics and music. I am using GameMaker Studio 2 for the project, and Blender for pre-rendered 2D graphics (more on that further down). These tools are the ones I know the best, and I have a pretty comfortable workflow using them so it felt natural to use them for this. My main inspiration for the gameplay, as with many stealth games, is Metal Gear Solid (the original PS1 game) and its' use of systems to trick and manipulate guard behaviour etc. I'm focusing a lot on giving the player free reign in a level to tackle it as they see fit, and giving them a lot of gadgets to do it. There isn't really a way to kill or seriously harm enemies as I want it to focus on avoidance and using wit instead of brute force. The levels are basically one screen rooms and are designed to be completed in quite a short amount of time. 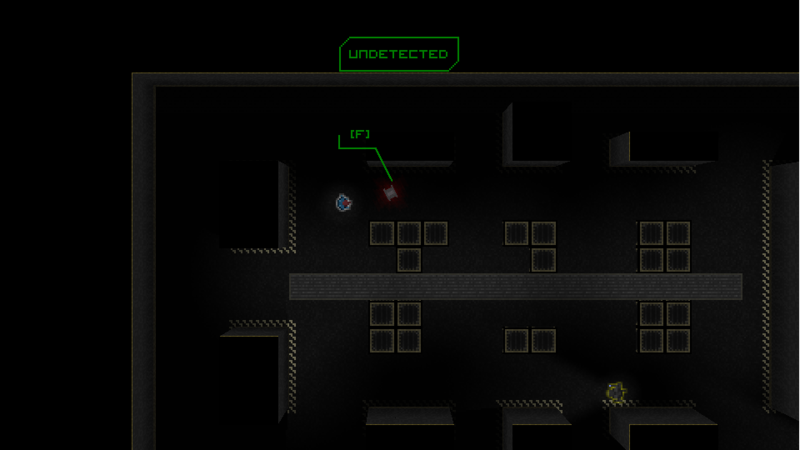 One mission consists of several levels, with some factors carrying over levels. For instance, if the player is detected in one room and manages to escape to the next, the guards there would be on high alert already or the previous guards would follow. I think/hope this incentivizes the player to use the gadgets at hand to escape their followers before proceeding. 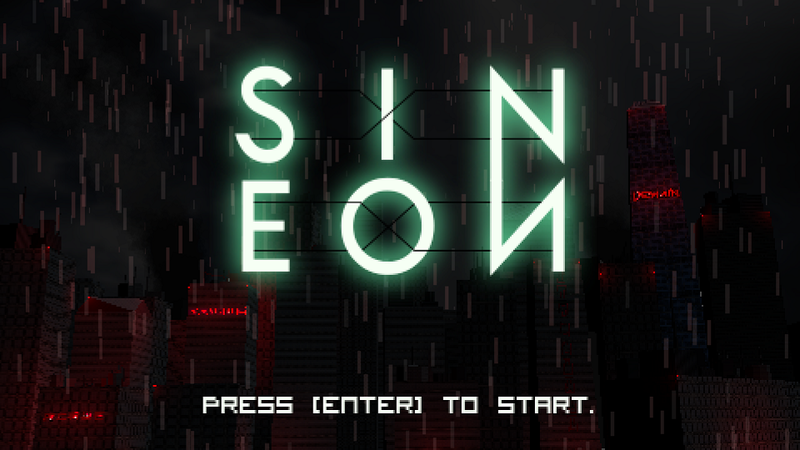 I wanted to create my own cyberpunk world, with strong influences from books like Neuromancer and movies like Ghost in the Shell (the 1995 version, I have not seen the outing from last year). I want to build an environment that is as frightening and believable as those works. The setting and story tries to tackle the different ideas on identity in the city sprawl. What is an individual in an digitally and techonlogically interconnected living space, and is individualism to be valued the way we do it today? This is set to the classic back drop of technology and humanity fusing together. I want to let the player play through something cool related to that. The themes and story are not to be the main focus for the game though, the gameplay is supposed to stand on its own. This has been a major insecurity, since I'm a programmer by trade and don't have any good graphics skills. I've developed my own way of making graphics with Blender, where I make models and render them as low-res sprites. The models aren't good enough to be used on their own. I used to render them in higher definition, but it looked weird and janky. I finally decided on a look similar to other low resolution top down games, like Teleglitch. I finally think it somehow works, but this is still the thing that feels the least solid. 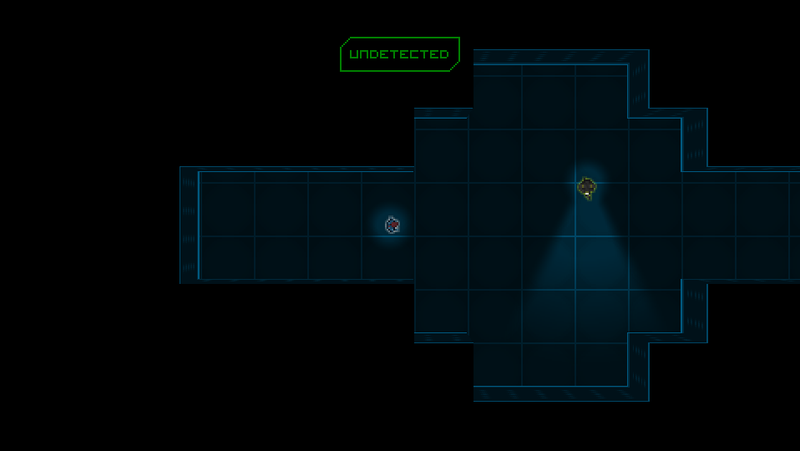 Earlier graphics attempts also included four directional sprites, before I settled on a completeley top down look. It proved too challenging and time consuming, and it didn't give the liberty of the gameplay that I wanted (for instance, 360 degree aiming without it looking really bad). I try to keep the GUI as simple as I can, with it still looking quite "digital" and stylish. This is constantly being revamped though. What it looked like with the higher definitions sprites.